This cultural and artistic project which will enable young artists and new (young) audiences to explore forgotten historical narratives and reinterpret specific subjects belonging to the cultural heritage of each of the project partners is co-financed in the amount of 60% by the Creative Europe – Culture Sub-programme fund. The project was submitted under the Call European Cooperation Projects 2018 - Cooperation Projects Related To The European Year Of Cultural Heritage 2018 at the end of last year. Lead partner of the project is the Heartefact Fund from Belgrade which produces socially engaged art projects, supports artists with critical approach to society and maintains a belief that art can be a tool of positive social change. Besides the Dubrovnik Summer Festival as the main co-organiser, other partners are Vitlycke Centre for Performing Arts (Tanumshede, Sweden), a residency centre for contemporary and innovative art practices, and Tasca (Barcelona, Spain), a civil society organisation engaged in activism, managing a cultural and social centre, and education, with special focus on children, youth and senior citizens. Development of new approaches to cultural heritage entails deconstruction of existing narratives of certain historic periods and their reinterpretation through contemporary performing arts. The Dubrovnik Summer Festival will focus its research on Renaissance and Baroque periods in Dubrovnik, while the Vitlycke Centre will explore prehistoric period and rock carvings from Tanumshede, which are included in the UNESCO World Heritage List. Heartefact will explore Belgrade’s history between two world wars, characterised by intense metropolisation of the city and the rise of fascism. Along with participation of young artists, the project is also aimed at young audience from 15 to 29 years of age. The research will result in three art productions which will be premiered at the Dubrovnik Summer Festival in 2020. The project also includes the development of an interactive web-based platform as virtual space that will enable exploring European cultural heritage and allow its users, especially young people, to participate in creating content and exchange their own ideas. Future Epics will serve as a European network with new approach to concepts of common good and cultural heritage, which will be preserved for new generations through the web-based platform. Besides platform development and preparation of art productions, the project will also include creative labs for artists, research, residencies, public discussions, workshops and symposia during the two years of its duration. In the summer of 2019, on its seventieth anniversary, the Dubrovnik Summer Festival will organise a three-day international symposium The Future of Site-Specific Performance which will, besides the history of site-specific performance in Dubrovnik, address new developments in site-specific performance practices, the challenges of festivalisation and festivals in cultural destinations. The total value of the project is approximately 333,100 EUR or 2.5 million kuna, and the European fund will co-finance 60% of this amount or approximately 1.5 million kuna. 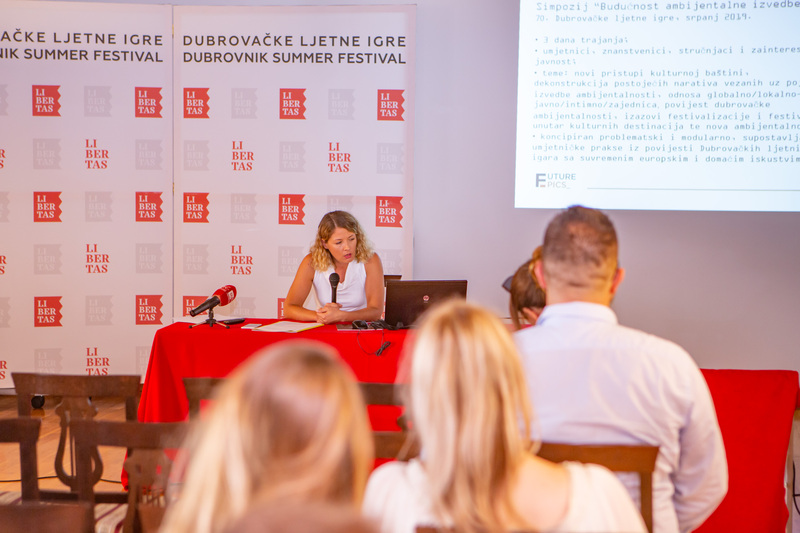 The Dubrovnik Summer Festival will invest nearly 85,000 EUR or 650,000 kuna in the project, and the amount co-financed by the EU fund is approximately 51,000 EUR or 400,000 kuna. For this project, the Festival was also approved co-financing from the funds of the Croatian Ministry of Culture which are intended for international cultural cooperation programmes. Besides the project Future Epics, during the next two years the Dubrovnik Summer Festival will also carry out the project Port of Dreamers. Its total value is approximately 316,000 EUR and it is also co-financed by the EU fund Creative Europe – Culture Sub-programme. The theme of the project is the history of migrations on the European continent and the Dubrovnik Summer Festival is the lead partner of the project, with Kulturanova, a civil society organisation from Novi Sad and the Slovene National Theatre of Maribor as co-organisers.